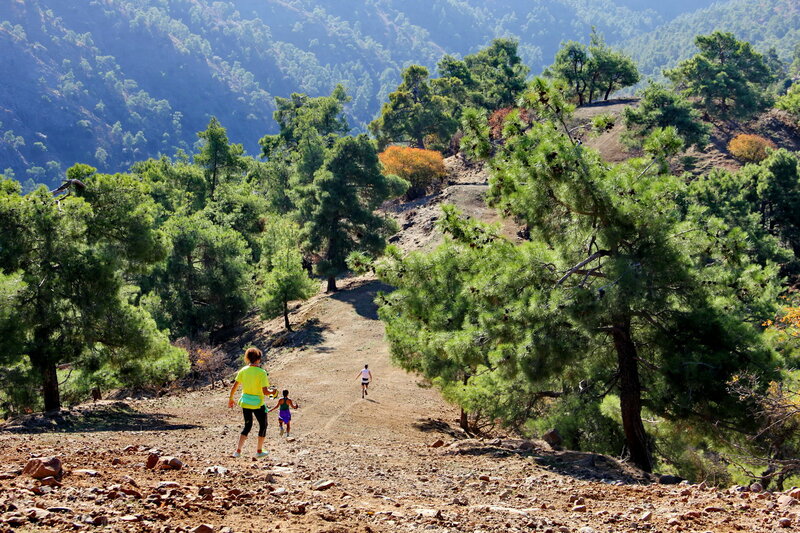 Heading down a fire break mid-winter near Machairas monastery in the lower Troodos mountains, Cyprus, during a trail run organised by Cyprus Trail Runners. Photo by Bryan Pearson. 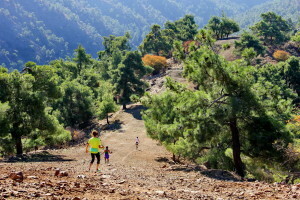 “We are a group of happy runners who love exploring the wonderful trails that criss-cross both sides of the divided Mediterranean island of Cyprus. From just two runners three years ago we now have see several dozen people out running the trails every weekend — on an island where no one had even thought of running (rather than hiking) through the mountains just a few years ago. We have launched a 5-race “Mountain Madness” series which is sponsored by La Sportiva mountain shoes and in which runners get points for finishing in the top 10. At the end of the series the three runners (male and female) with the most points win prizes — and everyone who competes wins accolades. 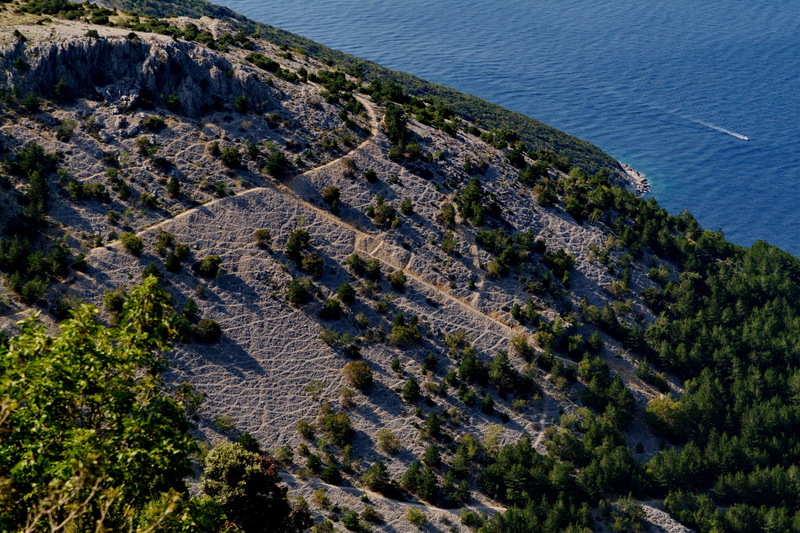 Once a year we hold an 80km ultra mountain trail race, known as the Two Castles and an Abbey Trail ultra, across a spine of mountains that stretch from the Kantara castle, through to Buffavento castle and on to Bellapais Abbey (hence the name). The event attracts a field of top trail runners and has been awarded two points by the Utra Trail du Mont Blanc (UTMB). If you want to share your inspiring photo with us, send us a photo at this mail. The photo should be high res image.